We also expressed our support for strong encryption and stronger, more consistent legal frameworks across the spectrum of Internet issues. In the document, we also highlighted our concerns about intermediary liability and government actions that could stem innovation. Overall, the i2Coalition has been pleased with the NTIA's work and outreach. 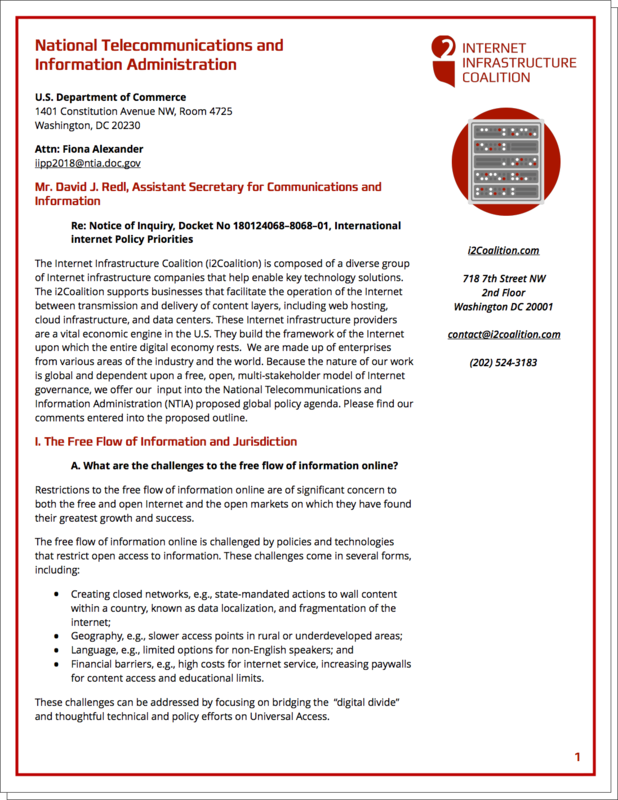 We hope to continue participating in its processes and advocating for issues critical to the Internet infrastructure community. Local Time: Thursday, April 18, 2019 09:33 AM PDT – Page Load: 0.2950 Sec.